Melitta® Cafina® XT4 - For an introduction to the professional class. 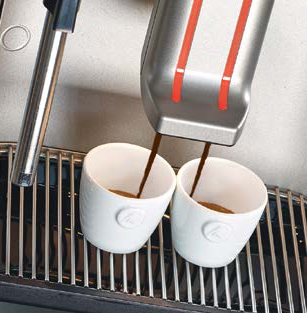 On the inside, the Melitta® Cafina® XT4 boasts the established Melitta Professional high quality standards. 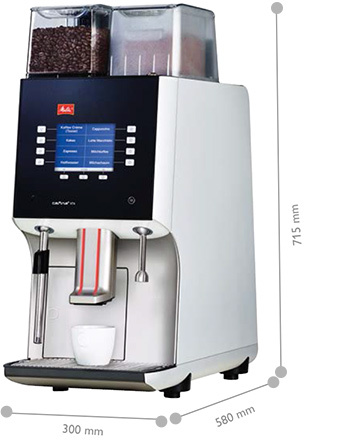 The stainless-steel brewing unit enables wear-free operation, increased piston contact pressure for espresso specialities, variable brewing times and a maximum net weight of 20 g for intense large quantities (double doses). 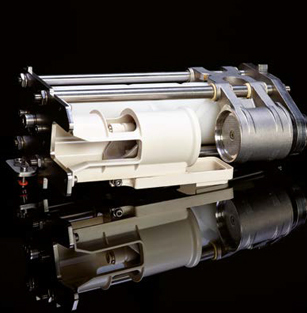 The pump motor is particularly powerful and ensures stable water pressure, even extraction and consistent coffee quality over the whole brewing process. 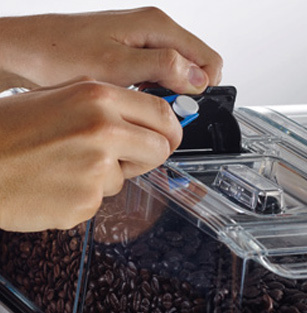 The grinder, with its 75 mm grinding discs, works particularly smoothly and creates even results. Thanks to the micro fine sieve, the XT4 can grind extremely finely and can therefore create an intense aroma with very little product. The automatic cleaning system guarantees an excellent level of hygiene and you don't even have to disassemble the unit ("Clean in Place", CIP). The brewing unit is made from high-quality materials – predominantly stainless steel – which means that you can operate the machine with a maximum net weight of 20g without the risk of wear. The look of the Melitta® Cafina® XT4 underlines the high technical quality and state-of-the-art, and fits in both technically and visually with the familiar modules of the XT range.